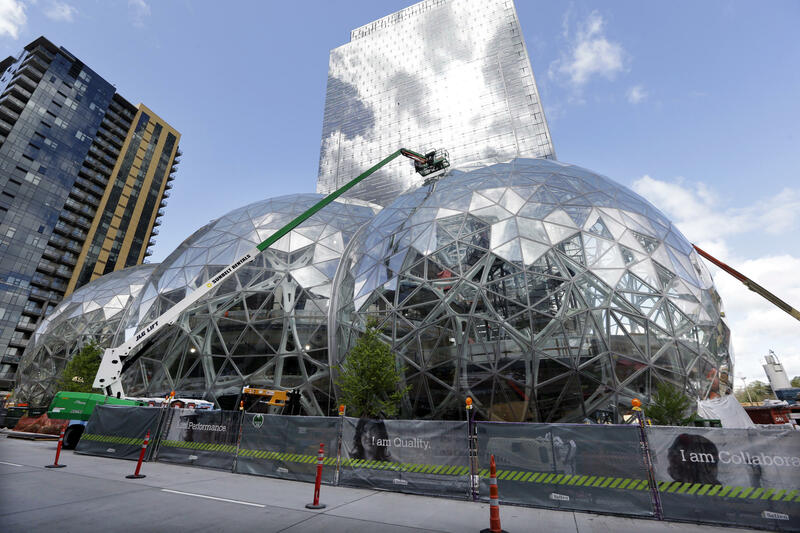 FILE - In this April 27, 2017 file photo, construction continues on three large, glass-covered domes as part of an expansion of the Amazon.com campus in downtown Seattle. Amazon said Thursday, Sept. 7, that it will spend more than $5 billion to build another headquarters in North America to house as many as 50,000 employees. It plans to stay in its sprawling Seattle headquarters and the new space will be "a full equal" of its current home, said founder and CEO Jeff Bezos. North Carolina's economic development community is mounting efforts to lure Amazon's new HQ2 facility to the state. The project could provide 50,000 jobs over 15 years. Scott Levitan is president and CEO of the Research Triangle Foundation, which oversees RTP. He says state incentives will prove important to North Carolina's prospects but so will other factors. "The ability to attract a highly-skilled and trained workforce, talent, is equally important and having the right environment for their aspirations for their HQ2 is also important," Levitan said. Charlotte's business leaders are also putting together proposals for the HQ2 project. Ronnie Bryant, President and CEO of Charlotte Regional Partnership, said Amazon is the type of company the city wants as it continues to grow and develop as a business market. Adrienne Cole, president and CEO of the Greater Raleigh Chamber of Commerce, said this project would benefit the entire state. "They're going to be looking at the talent pool of entire region,” Cole said. “We have very strong commuting pattern data that show how talent moves within the region." Cole said the state will help coordinate those efforts to put the best proposal forward by Amazon's October deadline. A stretch of land that was once called “The Desert” by locals is now the site of a potential new economy in North Carolina: wind energy. 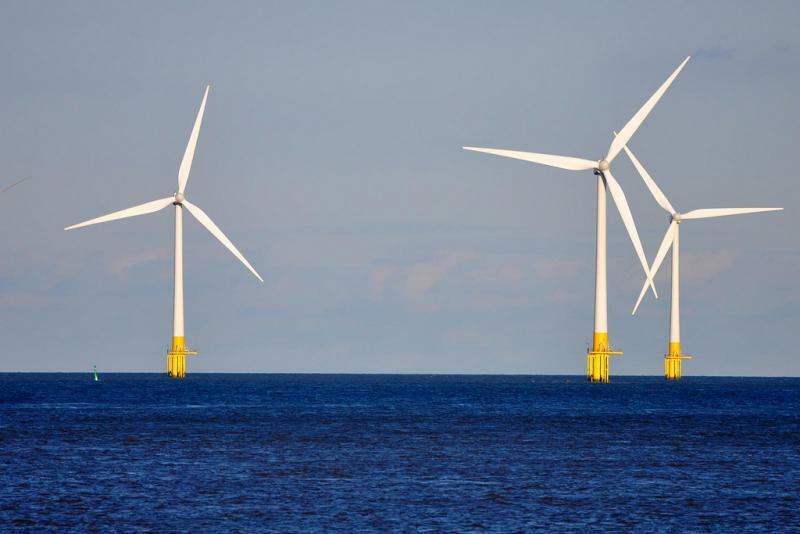 And the market for the energy produced by the wind farms already has a buyer: Amazon. Meanwhile, the legislature continues to debate environmental deregulation measures.